The annual Global Partner Summit was held November 26-30 at AWS re:Invent 2018, and we are excited to introduce key initiatives and new program launches. 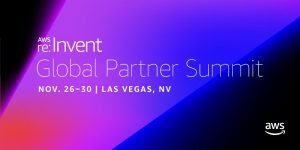 Global Partner Summit provides AWS Partner Network (APN) Partners with opportunities to connect, collaborate, and discover. There were GPS sessions and events taking place across the re:Invent campus this year, helping APN Partners to leverage AWS technologies and learn how the APN program can help you build and grow your business. The APN hosted our annual Global Partner Summit keynote November 27 at The Venetian. The keynote was emceed by Terry Wise, Vice President, Global Alliances and Channels, AWS. All of our Global Partner Summit business breakout sessions are online for you to watch. This includes sessions on the new APN program changes, how to work with AWS sales teams, how to build a profitable MSP practice, and more. One of the key announcements we made at re:Invent was a set of updates to the overall APN program that will recognize and support the growth, investment, and innovation of our evolving APN Partner community, and better align APN Partners to more structured program benefits. Along with these changes, we introduced several new programs for APN Partners that are just getting started on their APN journey, as well as programs for mature APN Partners that are specialized on AWS. Check out some of the new program offerings below. 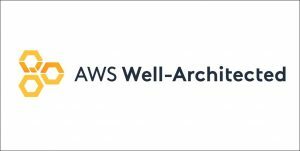 The AWS Well-Architected Partner Program helps APN Partners establish good architectural habits and eliminate risks for customers. Through this program, AWS Well-Architected Partners validate the state of customer workloads and make improvements when and where assistance is needed. The AWS Well-Architected Framework is a set of best practices and principles that help customers design workloads for the AWS Cloud. The Framework provides a consistent approach for AWS customers and APN Partners to evaluate architectures and implement designs that will scale over time. The AWS Service Delivery Program highlights APN Consulting Partners with a track record of delivering specific AWS services to customers. 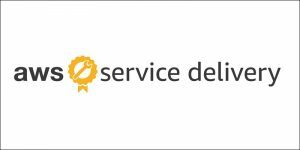 Attaining an AWS Service Delivery designation allows APN Partners to differentiate themselves by showcasing service-level expertise to AWS customers. AWS IoT Core Partners improve customer experience and outcomes by choosing the best approach for the design and implementation of IoT solutions that are optimized for cost, reliability, security, performance, and scalability. AWS IoT Greengrass Partners improve customer outcomes by leveraging their deep technical knowledge of AWS IoT Greengrass and AWS IoT Core, as well as their IoT solution knowledge of supporting AWS services to deliver edge device intelligence for customers. AWS IoT Analytics Partners build fast, responsive IoT applications on the massively scalable AWS IoT Analytics platform without having to manage any hardware or infrastructure. They have proven AWS customer success in developing solutions to ingest, process, store, and analyze IoT data. The AWS Container Competency recognizes APN Technology Partners with a product or solution that integrates with AWS services in ways that improve customers’ ability to run workloads on containers on AWS. These products or solutions help customers optimize orchestration and scheduling, infrastructure, application build/test, and deployment on containers, as well as with monitoring, logging, and security of containers. 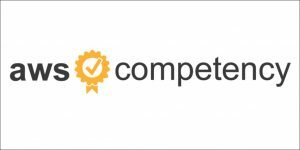 To receive an AWS Competency designation, APN Partners must undergo rigorous technical validation related to industry-specific technology, as well as an assessment of the security, performance, and reliability of their AWS solutions. 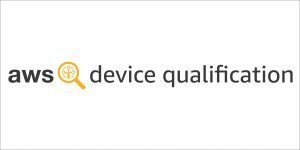 The AWS Device Qualification Program is a new hardware qualifying program for APN Partners to qualify their device hardware. This includes development boards, embedded modules, SBCs, gateways, sensors, and cameras, and validates that the devices work with AWS IoT Core, AWS IoT Greengrass, Amazon FreeRTOS, and/or Amazon Kinesis Video Streams. Qualified devices are eligible for listing in the AWS Partner Device Catalog, which allows customers to discover IoT devices that work with AWS services. The catalog helps customers identify validated hardware, including links to buy listed hardware for evaluation and development from APN Partners, and creates a channel for APN Partners to reach and engage new customers. We were thrilled to be in Las Vegas for AWS re:Invent 2018 and our annual Global Partner Summit. APN Partners from across the globe were busy attending breakout sessions, technical chalk talks, and hands-on training to learn how the APN program can help build and grow your business. Throughout the show, we published daily updates on the APN Blog. Check out this post to see what we shared from Las Vegas, including details of the APN program launches, sponsor booths at the Sands Expo, and other awesome things from re:Invent.